Ever heard of The- Network-Box (TNIB) technology? Now just about anybody can be their own mobile operator & make or receive calls anywhere in the world. Today when cellular communications have become ubiquitous throughout the world, there still remains umpteen untouched abodes that have limited access of network coverage or no network coverage at all. Sounds Cool, here’s more. Locals, Social Service units can now acquire these economical off the shelf networks in boxes online. Designed especially for rural markets or areas with limited network coverage; these network units are extremely power friendly, multi handset compatible and lightweight. This allows every person design their personal cellular network on the go and reach out to the world. The box has an expansive range and is compatible to all kinds of mobile handsets. The system provides network signals for a user’s cell phone without any lag. Therefore cell-phone users within such a network can place calls to anywhere in the world. Usually cellular networks are bulky with lots of telephony cable components. But , TNIB is absolutely wireless . That comes with ready to fix cellular antennae & quick start software. No need for data center, no air conditioned storage, no weather maintenance. Just Plug Install & Call. This systems draw about minimal power power, and can be run on solar power as well. Now here is the coolest part, the in-built antenna port consumes just upto 2 watts of power. Thats like using 2 AA torch batteries! Unlike other network bundled mobiles , the system doesn’t stop you from buying your favourite smart phone. TNIB works with every kind of GSM enabled mobile handset with your private SIM card. With the aim of freeing people of the curse on the ‘UNREACHABLE” the OMOCO technology is a path breaking enabler for the people of remote and rural areas of the world. For details on OMOCO technology your can visit www.omoco.in. Or follow the latest news on our twitter handle @omocogsm. Because it is your Right to Be Reachable! 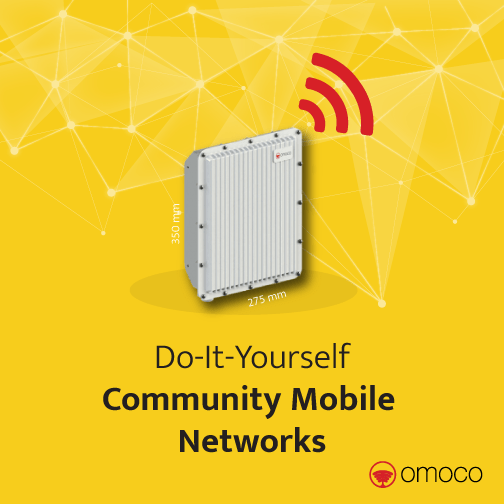 OMOCO –Your Personal Cellular Network >Made By YOU!